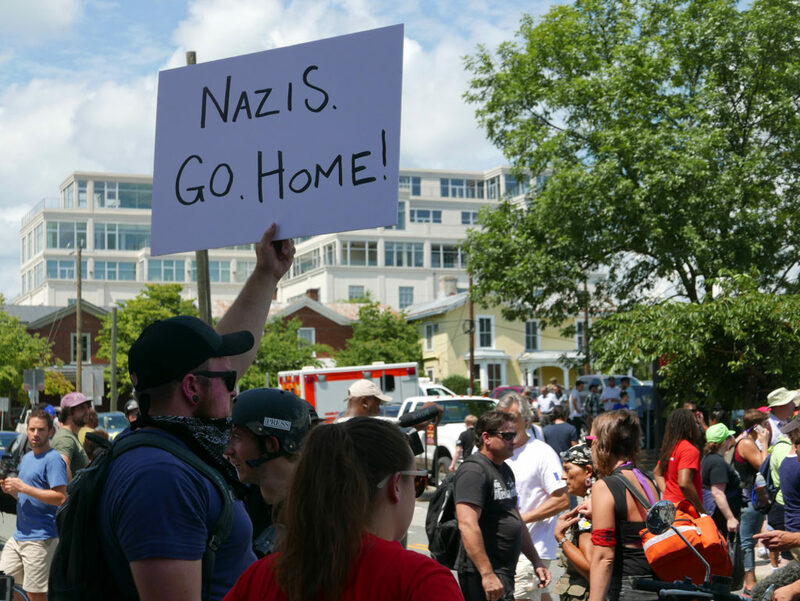 Washingtonians Process Violence And White Nationalism In Charlottesville, Va.
Over the weekend, supporters of the white nationalist Unite the Right movement gathered to rally in Charlottesville, Va. –a few hours drive from Washington, D.C. The event turned deadly when a driver slammed into the crowd that had gathered to protest the rally, killing one and injuring 19 others. The Saturday rally is one among a growing number of white nationalist rallies in recent months, including at least one in the D.C. region. In the aftermath of the weekend’s terrorism, Kojo explores the history and future of white nationalism in the region. Wednesday, Apr 17 2019A friendly neighborhood store can help people feel rooted in their community. But what happens when those businesses close up shop? And how can small businesses in particular survive in the high-rent, high-risk Washington region? Wednesday, Apr 17 2019Washington, D.C. is known for its historical landmarks and monuments. What happens when they start to deteriorate? Tuesday, Apr 16 2019In the first part of our Kojo 20 series on transportation, we'll explore the concerns over Maryland Governor Hogan's highway expansion plan and examine how similar projects have affected traffic elsewhere in the Washington region. Monday, Apr 15 2019Georgetown University students overwhelmingly voted to pay fees into a fund to benefit the descendants of people enslaved by the university.